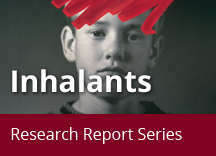 Home » Publications » Research Reports » Inhalants » What is the scope of inhalant abuse? 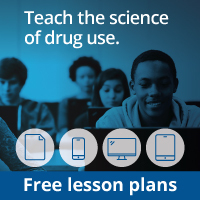 According to the 2010 National Survey on Drug Use and Health (NSDUH), there were 793,000 persons aged 12 or older who had used inhalants for the first time within the past 12 months; 68.4 percent were under the age of 18. In fact, inhalants — particularly volatile solvents, gases, and aerosols — are often the easiest and first options for abuse among young children who use drugs. NIDA’s annual MTF survey of 8th-, 10th-, and 12th-graders consistently reports the highest rates of current, past-year, and lifetime inhalant use among 8th-graders. Inhalant use has decreased significantly among 8th-, 10th-, and 12th-graders compared to its peak years in the mid-1990s (see figure). According to the 2011 MTF survey, past-year use was reported as 7.0, 4.5, and 3.2 percent, for 8th-, 10th-, and 12th-graders, respectively. Data compiled by the National Capital Poison Center also show a decrease in the prevalence of inhalant cases reported to U.S. poison control centers — down 33 percent from 1993 to 2008. The prevalence was highest among children aged 12 to 17, peaking among 14-year-olds. Demographic differences in inhalant use have been identified at different ages. The MTF survey indicates that in 2011, 8.6 percent of 8th-grade females reported using inhalants in the past year, compared with 5.5 percent of 8th-grade males. In terms of ethnicity, Hispanics have the highest rates of past-year use among 8th- and 10th-graders, compared to both Blacks and Whites. People from both urban and rural settings abuse inhalants. Further, research on factors contributing to inhalant abuse suggests that adverse socioeconomic conditions, a history of childhood abuse, poor grades, and school dropout are associated with inhalant abuse.